Director since 2009. Lloyd Wright has more than three decades of experience in public service media. In his current role as President and CEO of WFYI in Indianapolis, Wright oversees Central Indiana’s PBS and NPR stations; WFYI Productions; WFYI’s Learning Services; Indiana Reading and Information Services (IRIS) — a free service for Indiana’s print impaired, and the WFYI Foundation. Wright joined WFYI in 1988 as Director of Program Production and was appointed WFYI’s President and Chief Executive Officer the following year. Under his direction, WFYI relocated to a state-of-the-art telecommunications complex in downtown Indianapolis; completed the first phase of its $20.2 million capital campaign; and was awarded a $900,000 Kresge Foundation Capital Grant. In recognition of its innovative fundraising practices and overall growth in membership and donor relations, WFYI was honored with three 2008 PBS Development Awards, including the “Award of Excellence for Overall Membership.” Wright has been recognized with an Emmy Award for Technical Achievement, as well as the Sagamore of the Wabash, the highest award given by the Governor to recognize distinguished service to the state of Indiana. In addition to his service at WFYI, Wright served for six years as Broadcast Operations Manager of WTTW (Chicago), was Producer/Director/Writer for the Indiana University News Bureau and Director of Instructional Broadcasting for the Indiana Department of Education. A former two-term PBS board member (1998-2004), Wright served on the Member Services Committee, the initial Task Force that established the PBS Foundation, and as Vice Chair of the Nominating and Corporate Governance Committee. He’s currently on the board of the Public Television Major Market Group, chairs the Joint Licensee Group, is past president of Indiana Public Broadcasting Stations, Inc., and a director of the Indiana Higher Education Telecommunication System. 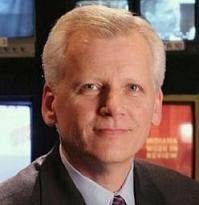 He also serves on the Indiana Broadcasters Association’s Pioneers Executive Committee, Martin University board of trustees, the Confucius Institute and as a director of the Greater Indianapolis Progress Committee. Wright received a BA in Telecommunications from Indiana University. He’s completed numerous leadership development programs including CPB’s Executive Management Institute from the University of California, Long Beach. He is Chair of the PBS Corporate Support Advisory Committee and Vice-Chair of the Interconnection Committee. He serves on the Nominating and Corporate Governance and Station Services committees. He previously served as Vice-Chair of the Station Services Committee and served on the Executive Committee.